Transform your event with this fantastic-looking centerpiece. 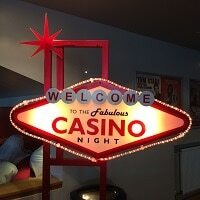 Price does not include delivery & installation unless hired with a casino. 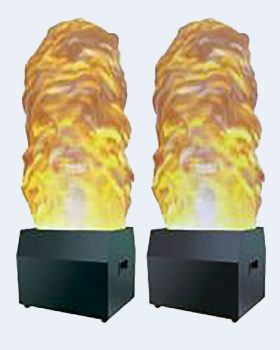 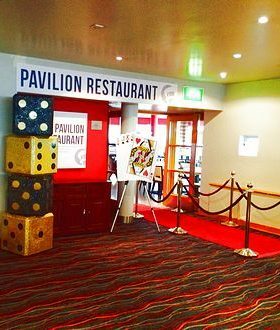 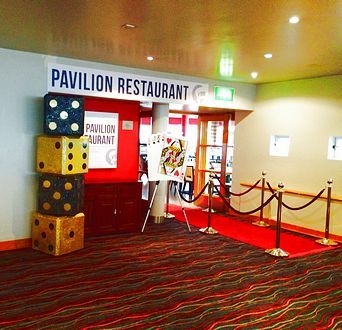 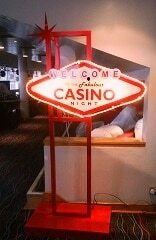 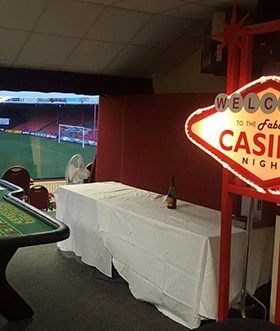 Free delivery & installation when hired with a casino or photo booth. 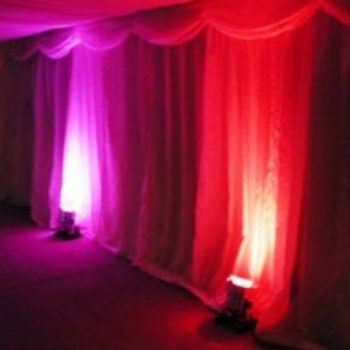 Can be collected from our Essex based warehouse CM49RS, or phone for delivery & installation prices. 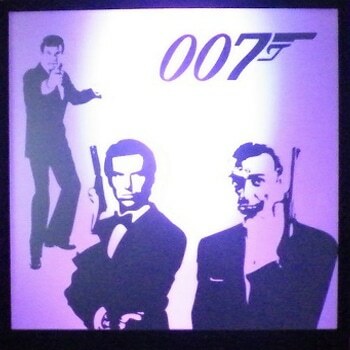 Sprays the walls with a combination of red, green and blue light. 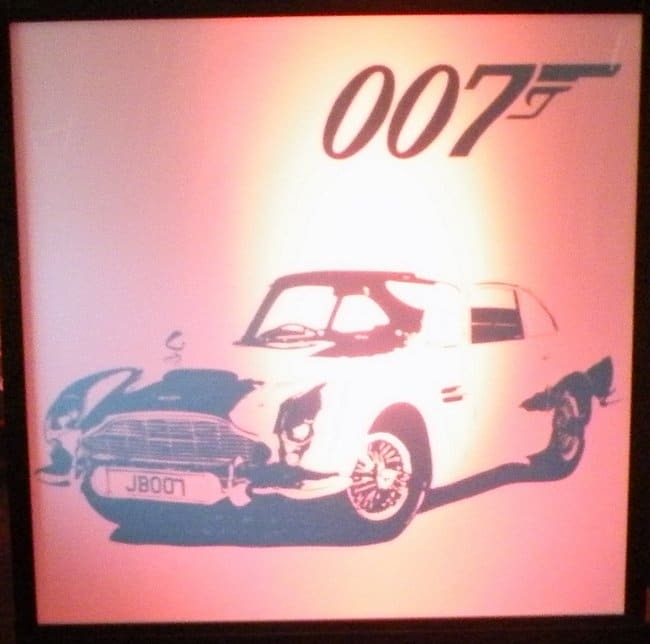 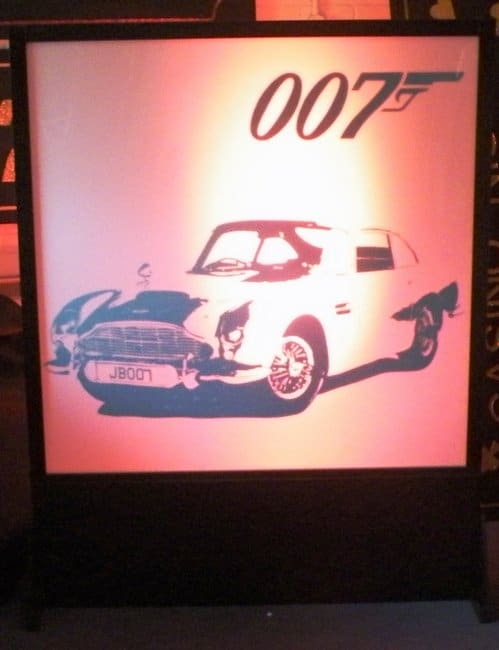 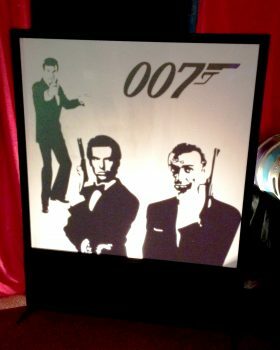 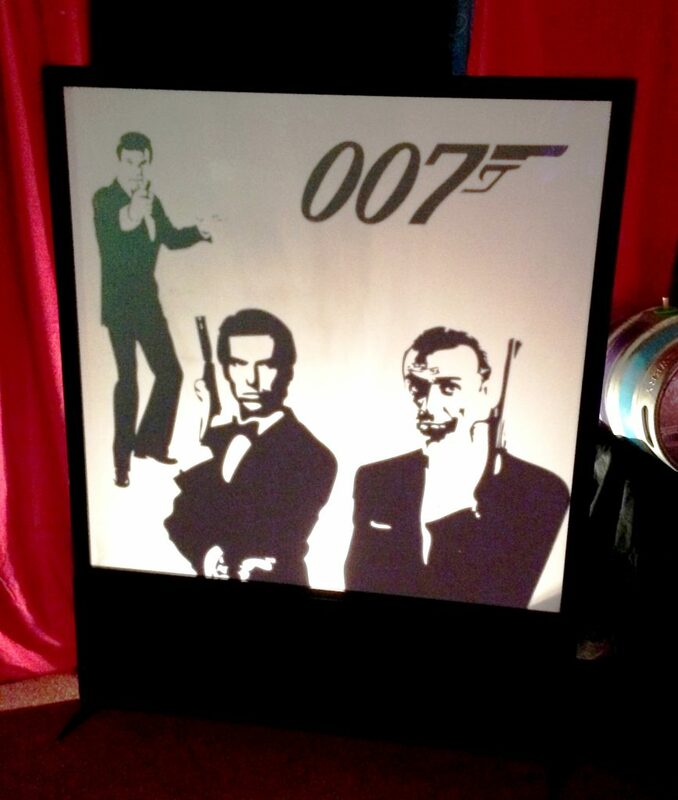 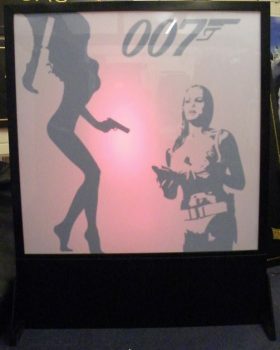 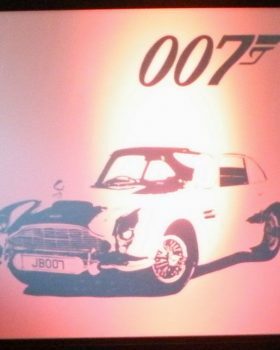 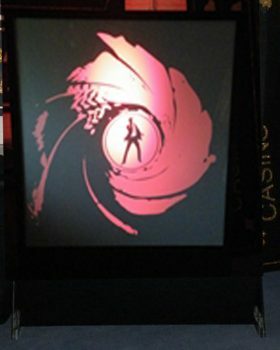 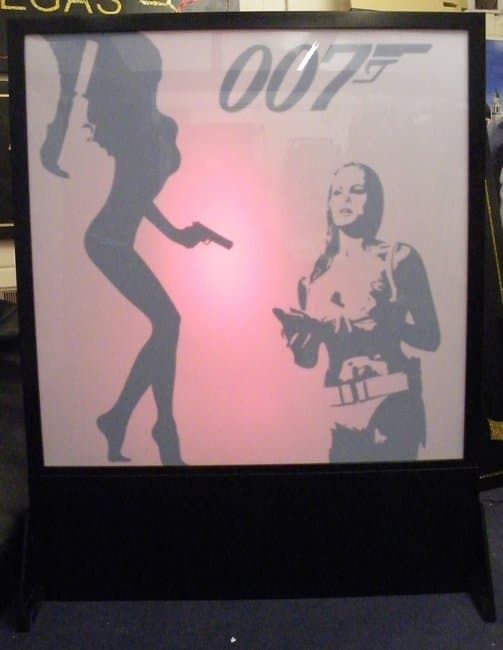 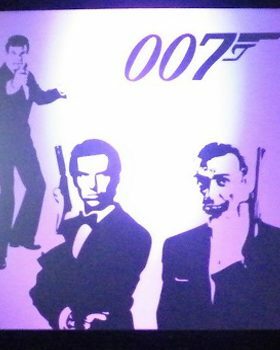 Awaken your venue by giving that real 007 themes with these amazing light panels. 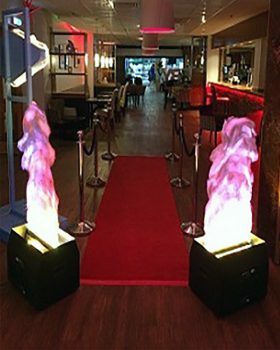 They will bring life to any area of your venue with changing colours that add an array of explosive lighting giving the wow factor! 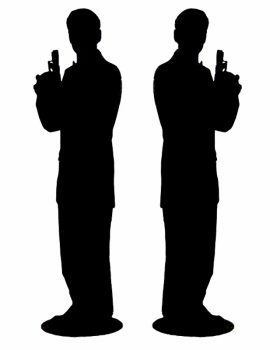 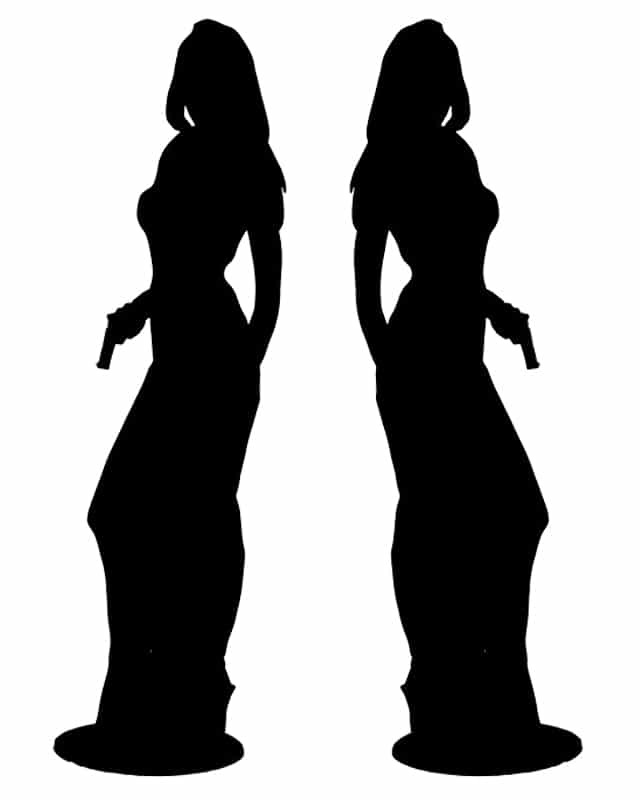 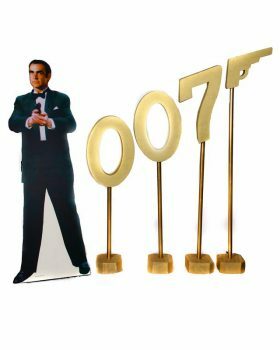 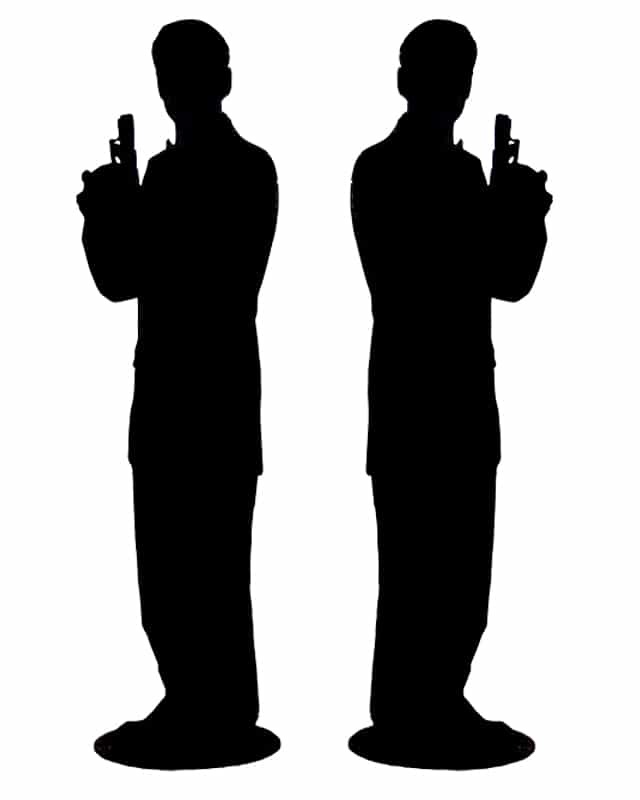 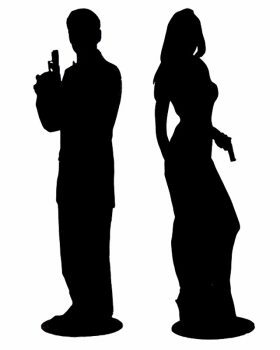 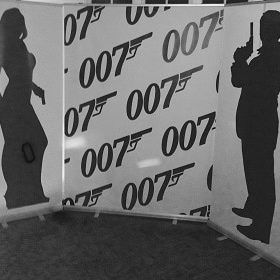 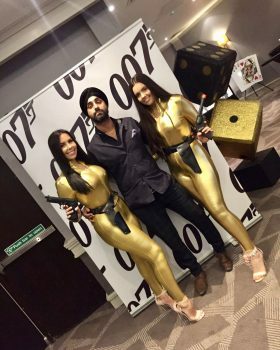 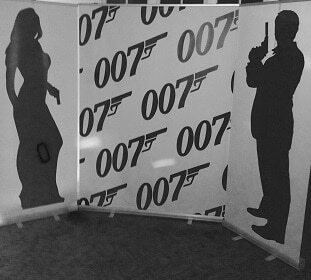 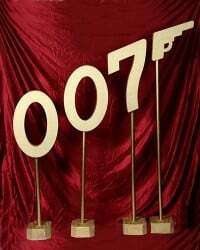 James Bond 007 pop up photo backdrop. 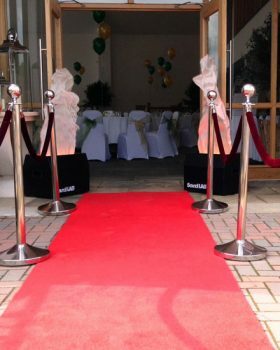 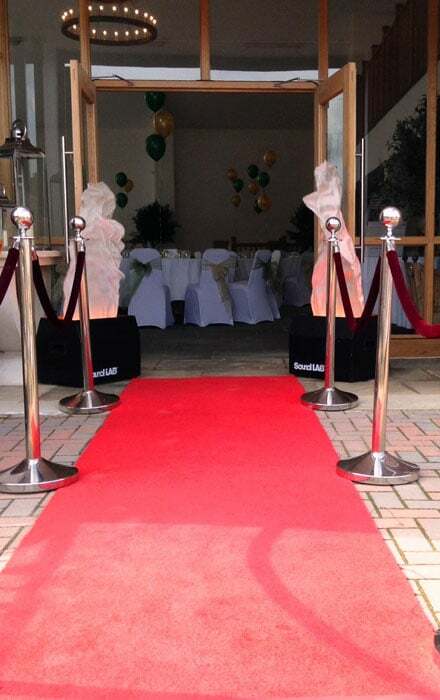 Make your guests feel extra special by walking down the VIP red carpet. 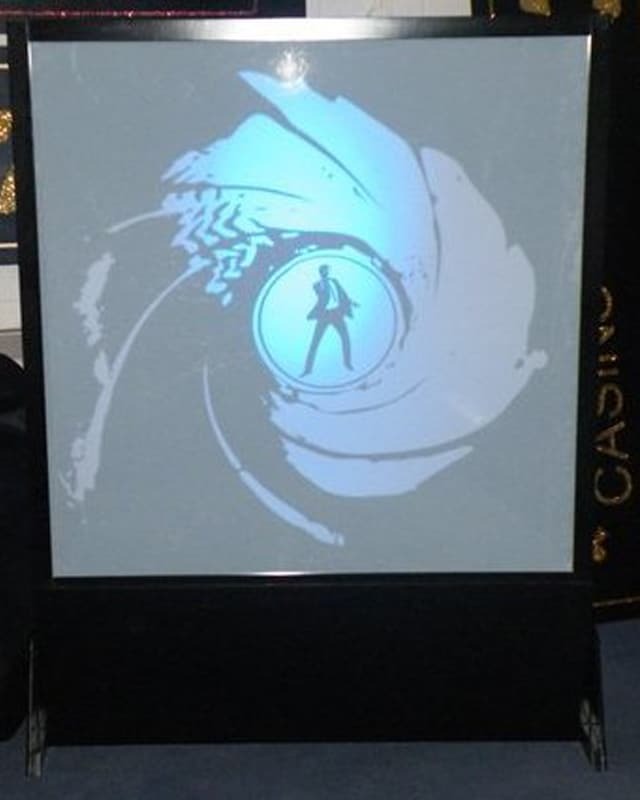 8 ft tall x 3ft wide. 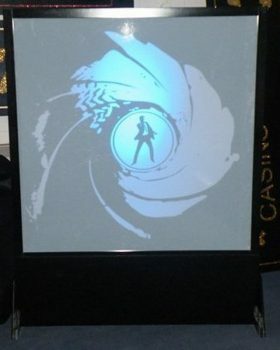 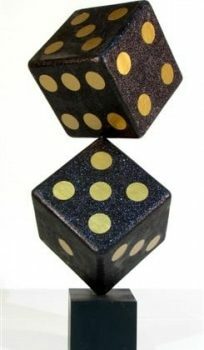 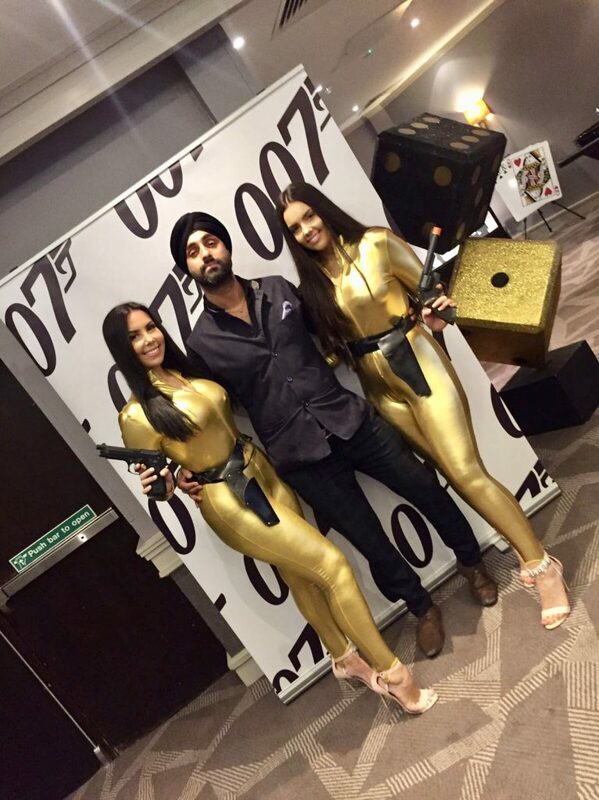 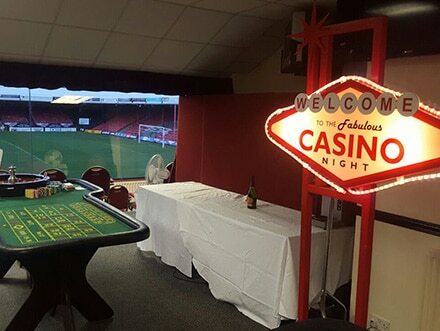 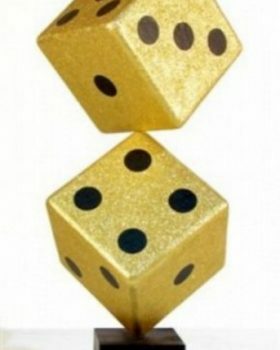 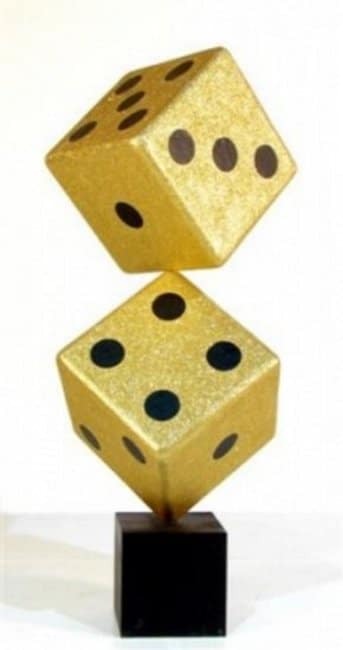 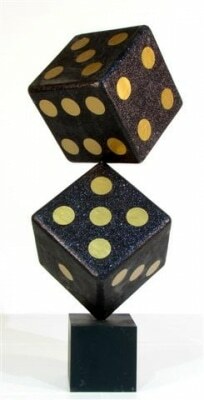 This will certainly transform your casino event & Wow your guests.